Mobility has not only changed how we live, it is also dramatically changing the network infrastructures that we rely on. 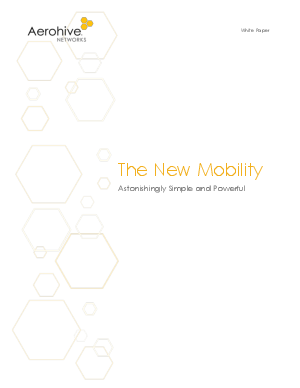 As organizations cope with the tidal wave of mobile users, mobile applications, and demand for pervasive access, it’s becoming clearer that prior-generation approaches to providing mobility are breaking. This paper describes how to eliminate the complexity and cost of traditional wireless networks and create one that is ready for mobility.